The W Hollywood Hotel and Residences, a development billed as the catalyst of an "urban renaissance" around Hollywood Boulevard and Vine Street, reached a construction milestone Wednesday. Completion of the $350 million development's vertical rise was marked with a choreographed topping-out ceremony that included aerial acrobats, streaming banners and VIP guests. 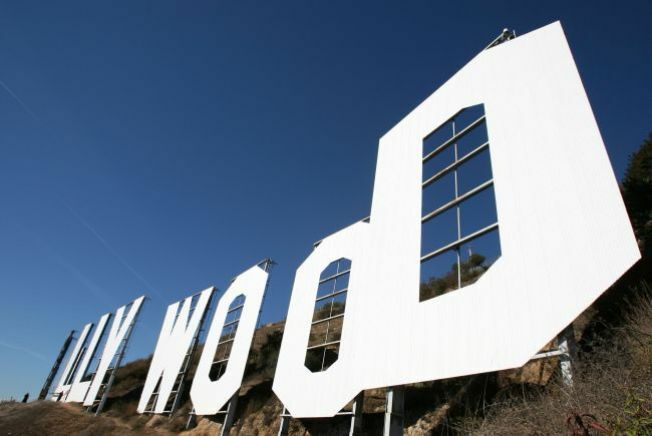 "Let there be no doubt; Hollywood loves a comeback, and today's celebration confirms that the most anticipated comeback of 2009 will be the return of sophisticated, glamorous lifestyle to Hollywood and Vine at the completed W Hollywood," said Marty Collins, head of Gatehouse Capital, which is developing the project with Legacy Partners. The project -- which includes a 305-room W hotel, 143 condominiums, 375 apartments and 50,000 square feet of retail space -- is slated for completion next November. The complex is being built around a Metro Red Line station. "The Hollywood and Vine project brings good-paying jobs, transit-oriented development, affordable housing and economic growth to the heart of our city," said Mayor Antonio Villaraigosa. He was among the high-profile attendees at the ceremony, as was Los Angeles City Council President Eric Garcetti and ABC late-night host Jimmy Kimmel. "Hollywood and Vine is one of the world's most famous intersections, and now it's making a Hollywood comeback," Garcetti said. The project will encompass an entire city block, bounded by Hollywood Boulevard to the north, Vine Street to the west, Selma Avenue on the south and Argyle Avenue on the east. The land is owned by the Metropolitan Transportation Authority, and is being leased to Gatehouse Capital and Legacy Partners, starting at $500,000 a year. Once the project is completed, the lease will likely increase to about $700,000, said Roger Moliere, chief of real estate management and development for Metro. The redevelopment project hit a snag in 2006 because plans initially called for demolishing the Herman Building, also known as Bernard Luggage Building. The owner, Robert Blue, sued the city, alleging officials violated his due process rights by using eminent domain to try to take his property. The city and developers eventually agreed to incorporate the historical building into the redevelopment project.